← Finalmente! The Caprese joins the 21st Century! 2 Responses to Costanzo’s Handywork! Since it’s lunch time, I thought I would show you some of Costanzo’s handywork! 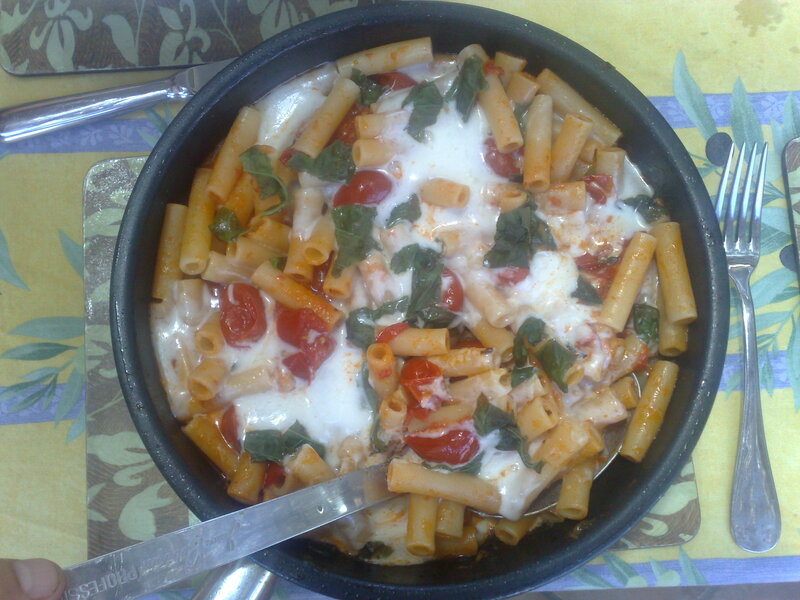 Here he has created a wonderful dish of Penne with fresh cherry tomatoes (generously donated by his neighbour in Capri), mozzarella di bufala and fresh basil. It really is a simple dish to create and the taste is just wonderful. Best served with a generous sized glass of chilled white wine or a bottle, even better! oh YUM that looks absolutely delicious and with the right ingredients I know it is!